TSE 949: Sales From The Street - "You Do Have Time"
Everyone has the same amount of available time every day. When people lack the time to systemize their businesses or hire and train new people, it’s because they aren’t using their time in the right way. They aren’t prioritizing the things that are important. On today’s episode, serial entrepreneur Carissa Hill shares how to grow your business and then systemize it, and prove to yourself that you do have time. Carissa wrote a book called You Do Have Time because she wanted to help people understand that when they use their time the right way, they’ll have plenty of time to accomplish the important things that need to be done. Carissa’s journey began when she was trying to run three stores by herself and she realized she was taking on too many things. She focused on all the wrong things instead of focusing on the things that would truly grow her business. Carissa was operating a chain of hair and beauty salons and she found herself micromanaging her team. It kept her from getting the results she wanted, just as it does to other people. Business owners might, for example, invest time in getting more social media followers instead of working to truly learn marketing, and sales, and conversion. If you want your business to continually grow, you must focus on lead generation and sales. As soon as you take your foot off the pedal for marketing and selling, it will slow down. As you grow, you can scale that by hiring salespeople or automating things. You can offer launches to groups of people rather than selling one-to-one. Many sellers and business owners allow fear to dictate their actions. Fear of rejection, fear of the next level of success, and fear of the unknown prevent people from taking the next steps. 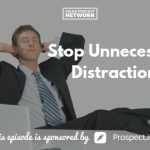 Many people run Facebook ads that generate a lot of success, and then, instead of hiring someone to help them continue to grow, they’ll turn the ad off because they are too busy. When they get out of their comfort zone, they’ll return to the place where they are comfortable rather than pushing out of it. People fear uncharted territory and additional work and the second- and third-order effects that come with success. Carissa said the key is to help clients find clarity about the things they are truly afraid of. What is the worst thing that will happen if you take this step? When Carissa started making YouTube videos, she was terrified of negative comments. That fear kept her from generating videos for a long time until she intentionally addressed what she would actually do if she got negative comments. Once she had a plan for the worst-case scenario, she was able to move beyond the fear and try making some videos. Don’t allow the fear to linger in your brain. The other step is to decide whether you’re prepared to stay in the place you’re currently in. If you aren’t willing to stay here, then what will you do to get yourself out of this place? The truth is that you could be helping many more people if you got beyond the fear that is holding you back. Answer this question first: Are you crystal clear about where all of your time is going? Many people don’t know the answer to that question, so the best place to start is with a time-audit system. Keeping a time audit means that you write down everything you do and how long each task takes you, for a total of seven days. Once you’ve done that, you can pretty quickly identify the wasted time in your day. The simple act of writing down your tasks will kick yourself into gear because you’ll create accountability for yourself. You’ll discover the time you’re spending on social media, even if it’s just in 5-minute increments. You’ll identify all the things you’re doing in a week, and you’ll likely find tasks that aren’t creating any return on investment and that aren’t enjoyable for you. The first thing Carissa did was outsource her housecleaning because it took hours of her time and she didn’t enjoy it. She recovered the hours she once spent cleaning her house so she could focus on other things. Once you’ve completed a time audit, put a smiley face or sad face next to each item as a step toward figuring out the tasks you want to keep and the ones you could let go of. Find things to outsource or automate. Make a “Things Not To Do” list to identify the things you don’t want to do. Focus on those things that will move the needle. 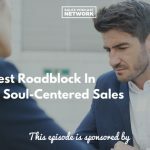 Carissa discovered early in her coaching career that she was spending a lot of time on sales calls because she thought that was the only way to sell. She got tired of it because she couldn’t scale herself. She tried an online launch style because she determined that her ideal prospects had all the same concerns and objections. By getting numerous people on one call, she was able to streamline her process and save herself a lot of time. She found herself having the same conversation over and over, so she addressed those questions and issues in a PDF. She offers it as an info pack to her prospects, who can contact her if they need more information after they’ve reviewed it. You’ve got to have a really good offer and if people want it, they will buy it. Offer something that sells someone’s problem. Offer content that is so good that you should really be charging people for it. Don’t hold too much back from your prospects. If you can get people results in advance without costing them anything, you’ll create the sense that the paid info must be really good if the free stuff is already producing results. You can’t get time back. The way you spend your minutes, your hours, and your days is your entire life. You can always make more money but you can’t make more time. Get really clear about what you want out of your life. Determine what is most important to you. Instead of reaching the end of your life wishing you hadn’t spent so much time scrolling on your phone, do things that actually help people. Spend time on things that you enjoy. Ask yourself this: Is this the highest and best use of your time? Post that question somewhere that you’ll see it frequently and you’ll improve the way you spend your time. Focus on delivering what people really want. Focus your energy on that so you can help people well. 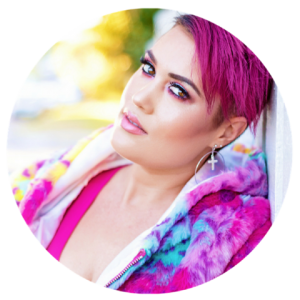 Connect with Carissa on her website or her Facebook group.